“House of ourselves“ by Noritoshi Hirakawa. His installation, a like a regular fleamarket consisting round tables filled and displayed with give away, was open to the public, where one could bring things in or take something out from the table as his own in Gallery VER. He is asking everybody to contribute household items they had no use anymore. It will be transformed it in a place of more than exchanges and in fact into a critical contribution of our high capitalistic society to change into unity of human existence. The place mutated and became a spot of participation, reaching people beyond the regular art folk and visitors. Not only art community in the site of the night market where attracted by the free display, also people from the visiting the market will pass by. Even people from anywhere over their shyness and happy to carry out things find in the the „House of ourselves“ contribution, reflection and experience of giving and taking for free as for confirming human-nature awareness beyond the control of institutions and education. Born 1960 in Japan. Residing in New York City since 1993. Hirakawa is now an internationally known contemporary artist after studying Applied Sociology. He has created numerous works in photography, film, dance, installation and performance. His work has been exhibited over 300 times at museums, art centers, and galleries all over the world including Venice Biennale Aperto, Istanbul Biennale, Site Santa Fe Biennale and Museum fur Modern Kunst, Frankfurt, Center Pompidou, Paris, PS 1 Museum, New York. He has worked on several collaborations with artists in other fields, such as poets, musicians, choreographers and architects as well as presented at Das TAT, Frankfurt, Danse Montpellier and Fondation Cartier, Paris and University of Toronto. 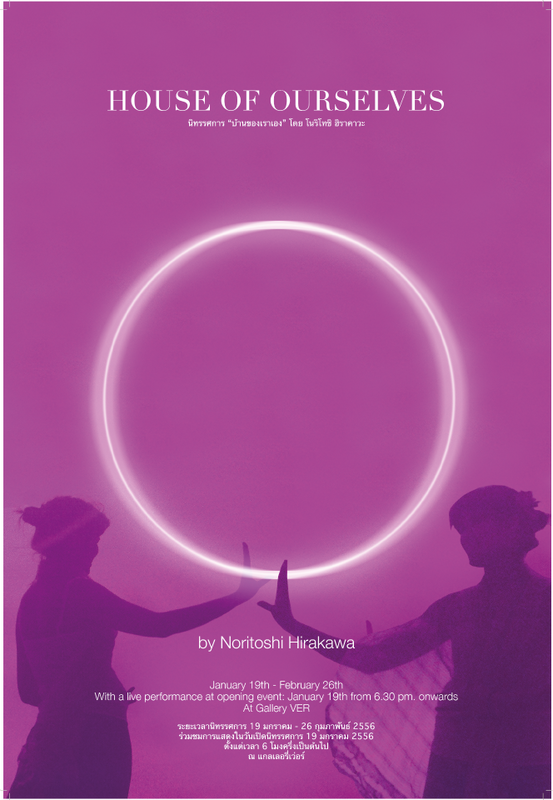 Hirakawa believes human activity forms the culture in which we live. His creation proposes to extend the capacity of human perception for furthering this culture. Within this framework, Hirakawa is pushing the boundaries of perception, altering aesthetic views for the future.